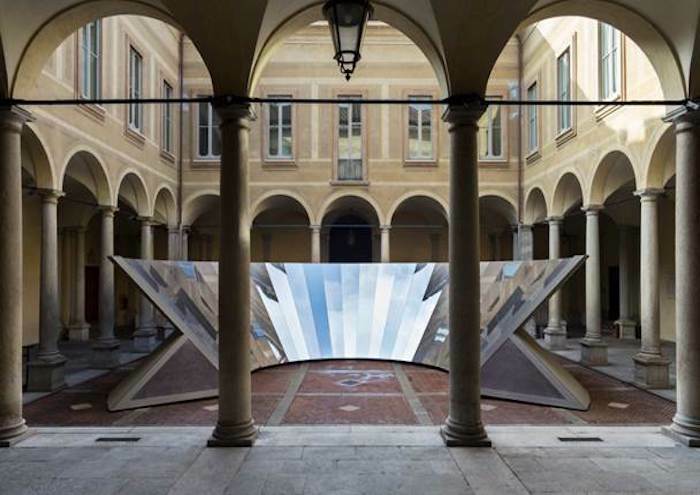 Milan Design Week is now over, “Salone Del Mobile” as it is known, took place from 17 to 22 April, displaying astonishing installations and exhibitions that covered everything be it furniture, bathrooms or cars, in fact all products we live with daily. Accross the spectrum of viewers from professionals working in the industry to journalists to any person that is seduced by design and wants to roam the streets of Milan can get involved because the show goes from trade shows to events happening all over the city inside and outside stores and shops, for trade and general public. However, if you were not in Milan, don’t worry, we have selected some interesting items and events from the design week. We noticed this season that one of the key themes regards our sense of wellness, our need for space and quiet in our busy lives. 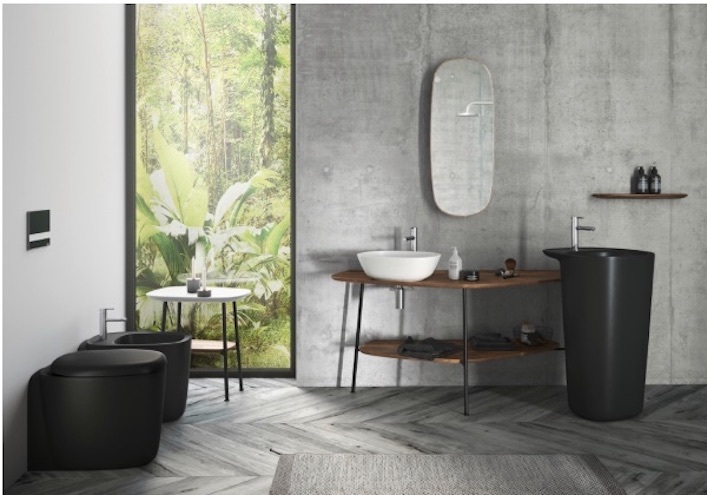 However much Milan Design fair is about products to consume, this season it seems to be driven by experience rather than owning more: You don’t just need a bathroom, you need a beautifully designed bathroom with a sense of calmness and serenity very much at the core of its function. It has the option for a variety of luxurious finishes and trends with items like tap handles that go beyond geometry yet are malleable. Minimalist elegance all in one beautifully design space. 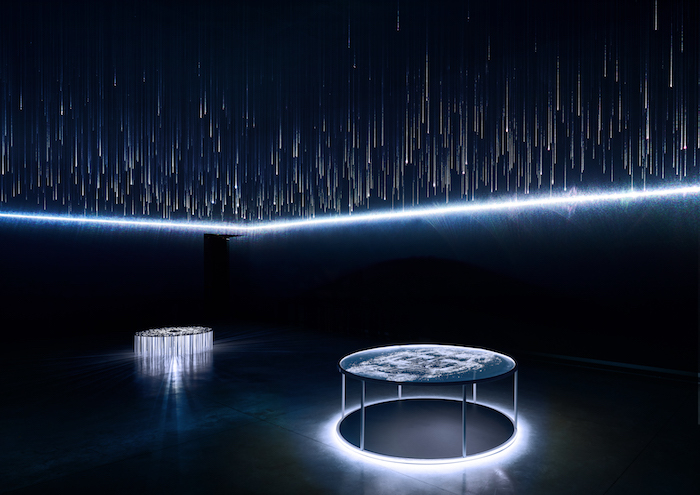 There was also Aquamoon, the multi-sensory water experience by Dornbracht. 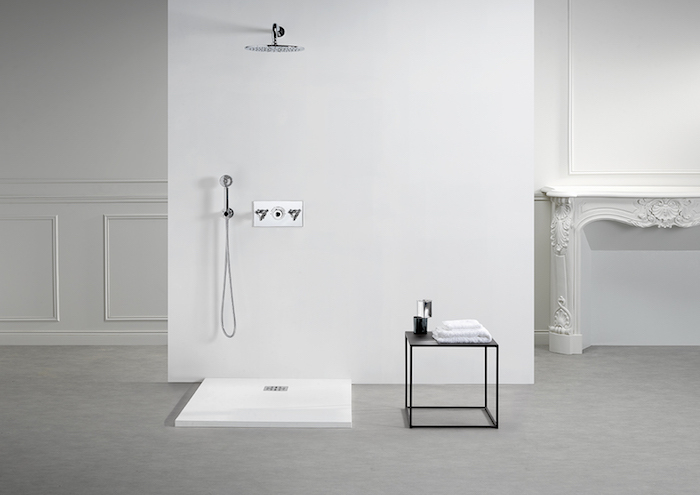 Here, water, light and energy are combined to create a new dimension in showering. The design is particularly minimalist with an enlightened semi-sphere from where the water gushes. Four water modes are offered such as the ‘Queen’s colar’, a cascade of water that massages the head, shoulders and spinal area with a controlled pressure and temperature. Or the ‘Embrace’ mode which envelopes the body in water but your head stays dry. Along with space to feel relaxed we also need some light in our lives. That’s also what Sota Ichikawa, designer of the Lexus space thinks, everyone is in the centre of their own world and so every individual should be illuminated; this way they co-exist in light and never in the shadows. 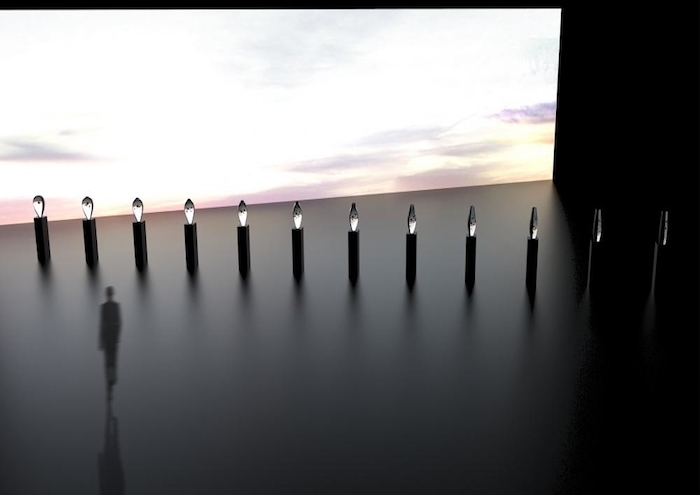 Lexus lighting installation has been conceived to shine a light on each and everyone of us. A computer randomly lights pattern that illuminates the individual strings that make up the installation. An experience that can not only change your life, but clear your mind and reset your senses. Echoing the zen feelings already shared above. The Breath of Light was also presented by Preciosa during the Milan Design Week; a dynamic, playful lighting installation which was affected by people’s breath when they entered the room. ” We are witnessing a trip to the past with candle chandeliers lighting dark places as our only source of light. The breath is the relationship between people and objects, the only way for them to interact”. 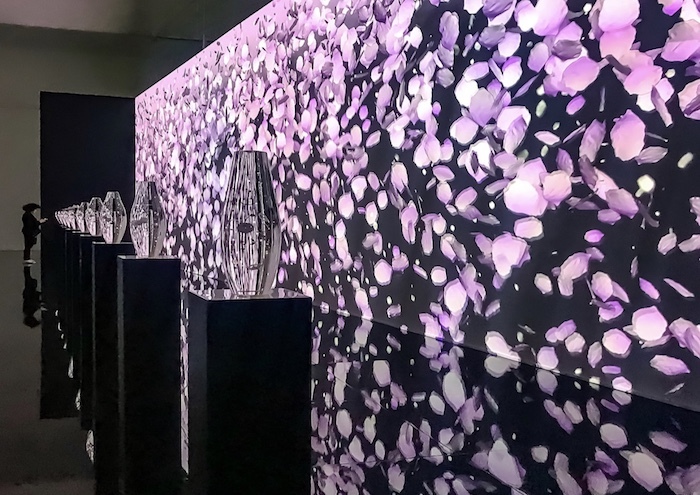 Time light and breath come together at “The Flow of Time” by Grand Seiko. One of the installation called ‘TAKT PROJECT’ allows you to approach the essence of time not with a tick but with a sweeping quartz movement. This way, you can experiment the mechanism of a watch. Where light day and time came together, so was the fashion label COS installation. 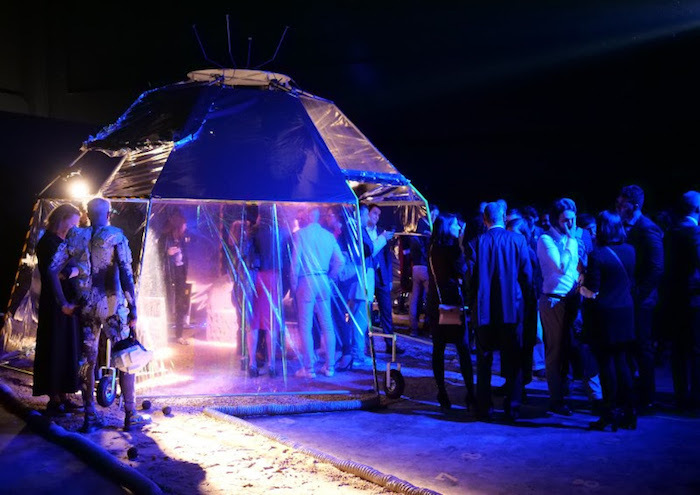 The design led fashion brand COS unveiled Open Sky, a large-scale sculptural installation by artist Phillip K. Smith III. 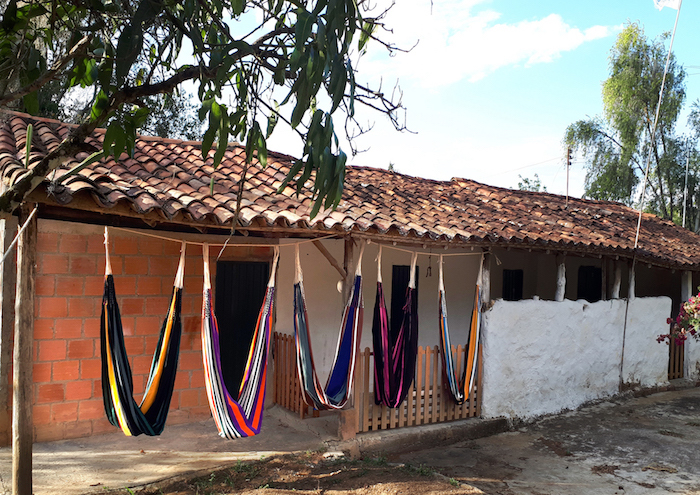 In this collaboration, the artist interacts with natural surroundings to share an Open Sky with the public who takes part of the experience in controlling how the sky and architecture merge. A wonderful way to bring your head up high and immerse yourself. Among the various exhibitions presented, Skyshelter.zip was really interesting and useful not to say essential. 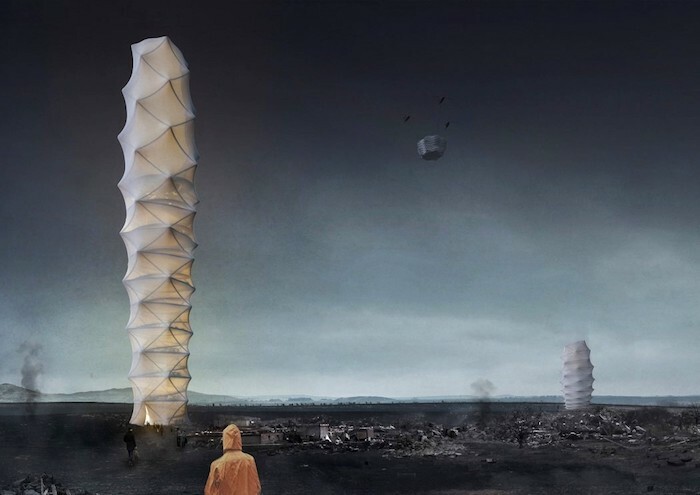 The idea is a foldable skyscraper with an outstanding weather resistance. The ‘building’ would be suspended in remote areas in order to allow aid workers easy access to it in case of natural disaster, then the skyscraper can be taken away by helicopter. It can be easily packed-up and its accordion-style shape makes it an easily recognizable landmark. Little or no foundations are needed as the structure deploys itself with the use of helium balloon and the structural steel wires once strained will overcome wind forces. Various functionalities can be added such as a reception area, first aid area, temporary housing, storage and vertical farm that uses soil gathered during anchoring. Furthermore, nanomaterial based on ETFE foil and infused with network of small perovskite solar cells was proposed, thus, the building can produce clean energy especially in case of emergency. Rain water enters its hollow center and is then cleaned and collected for further use. To celebrate the 50th anniversary of the Apollo 11, the designers have imagined Driade Moon Mission a lunar setting realized in 3D on the moon using regolith, a substance present on the moon’ surface. A marvellous way to experiment a moon-inspired set by artist and architect Maurizio Cilli while not leaving the earth. Another virtual world was at the event, Real VR Fake VR project presented by Rob Farr, a student from the Innovation Design Engineering Design Products and Fashion programmes at the Royal College of Art. 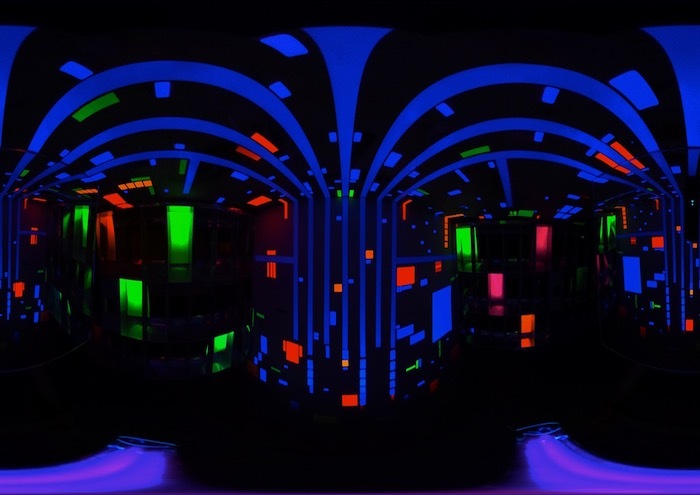 The premise of his work was to recreate the illusion of virtual reality withing a real-world space using UV lights and post-its. It feels like you’re in a sci-fi movie, transported for a moment. Design doesn’t mean furnitures and decoration, it is more than that because it carries you away with its colours, shape and history. Every piece is unique as it tells a tale, that’s what Munna showed at Milan Design Week 2018. 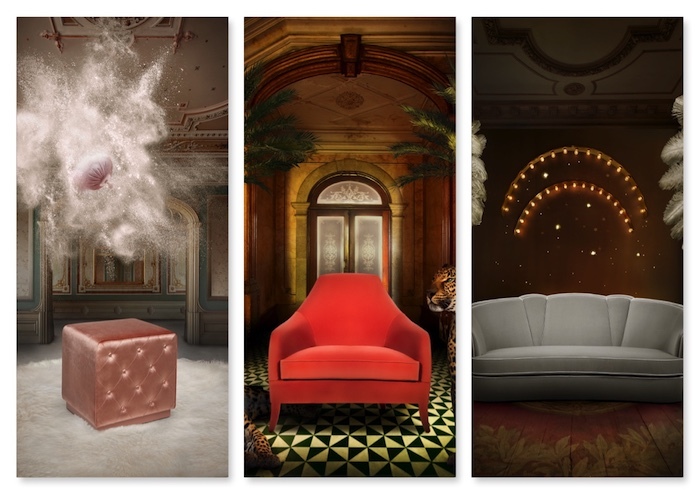 With velvet, leather and silk, the finest wood veneers and the fanciest colours, you’ll make every day an amazement. This collection will take you to another world, full of light, luxury and fineness. 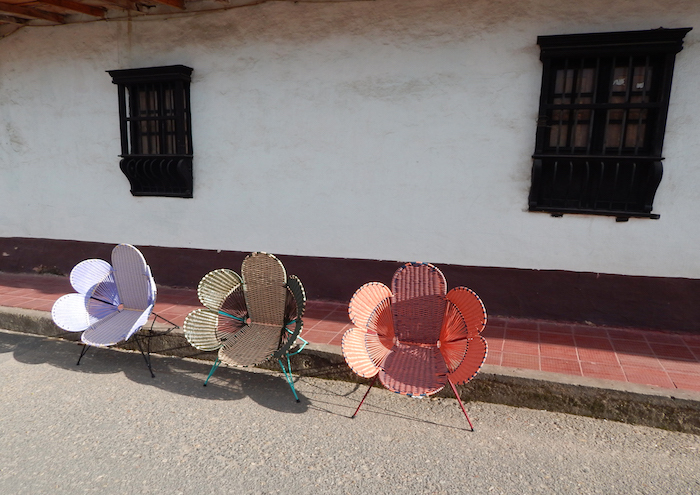 Marni La Vereda’s furnitures were there with some folklore, coulours and creativity. The italian brand’s items along with its handmade accessories inspired of Colombian departments will charm you. With 4 days spent making each chair, each one of them is unique. With weaved chairs and geometrical patterns you’re not only seating on a chair, you’re appreciating with your eyes and feeling with your hands. 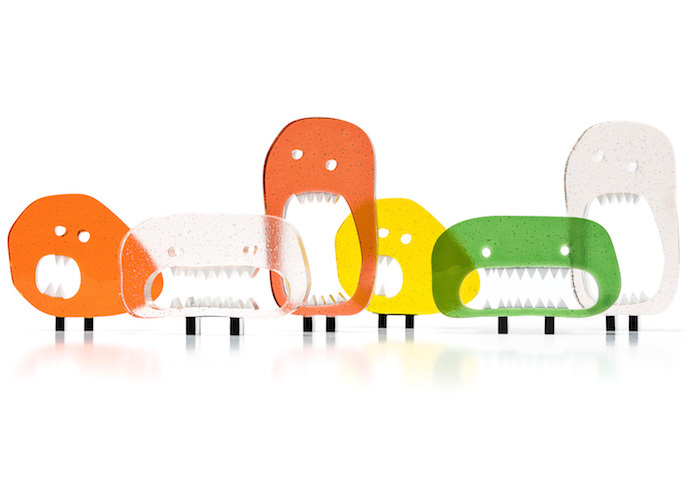 If you ever despised monsters, you might change your mind and love it because at Milan Design Week, the cutting-edge Czech glass and lighting company, Lasvit, brought a show full of beasts. BHSD by Maarteen Bass are little monsters whose origins come from the Netherlands where fossils looking like beasts were found between layers of clay and sand. They may afraid you but they’re just like all of us, hungry all the time, but at least we have a stomach, they do not. Every piece is honed with glass and geometrical shapes and is almost cute. 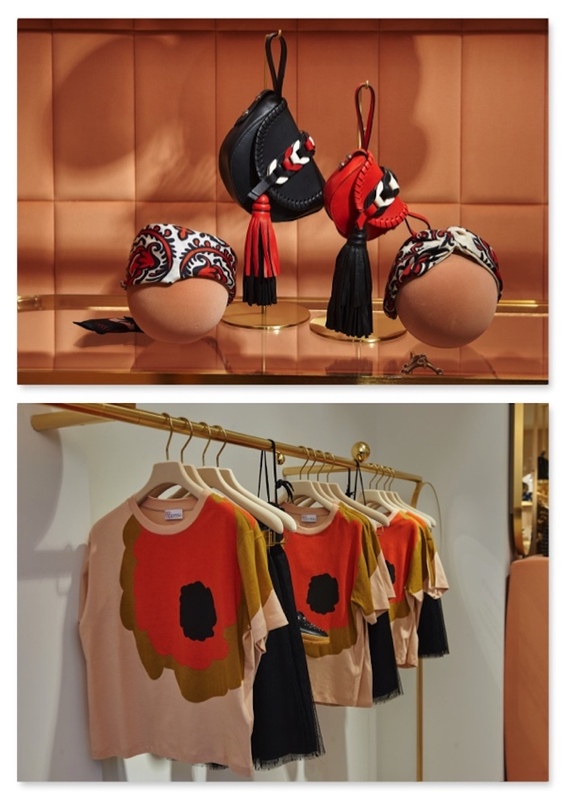 Fashion is always part of our lives and with spring’s arrival, REDValentino celebrated T-Bloom, a project in collaboration with designer and architect India Mahdavi. This collection is the idea of REDValentino girl, the audacious young woman, to blossom with romanticism. The range of colours will warm the heart and lift the spirits.